Not to be confused with Military order (religious society). Military awards and decorations are a distinction given as a mark of honor for military heroism, meritorious or outstanding service or achievement. It is often a medal consisting of a ribbon and a medallion. While the United States Government does not consider all its military awards and medals as being "decorations", other countries tend to refer to all their military awards and medals as "decorations". Civil decorations awarded to military personnel should not be considered military decorations, although some orders of chivalry have civil and military divisions. Decorations received by police and fire brigade personnel may sometimes be considered alongside military decorations, on which they may be modelled, although they are strictly not military awards. Decorations have been known since ancient times. The Egyptian Old Kingdom had the Order of the Golden Collar while the New Kingdom awarded the Order of the Golden Fly. 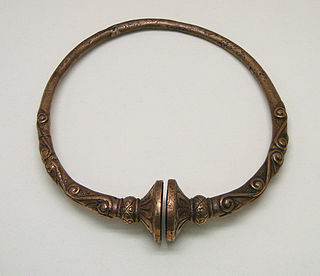 Celts and Romans wore a torc or received other military decorations such as the hasta pura , a spear without a tip. Dayaks wore and still wear tattoos, etc. Necklaces and bracelets were given during the early Middle Ages, evolving into richly jewelled big necklaces, often with a pendant (commonly a medal) attached. As with most other military forces the Roman military adopted an extensive list of decorations for military gallantry and likewise a range of punishments for military transgressions. The oldest military decorations still in use is Sweden's För tapperhet i fält ("For Valour in the Field") and För tapperhet till sjöss ("For Valour at Sea") awarded to officers and soldiers of the Swedish Armed Forces who have—as the medal names suggest—shown valour in the field or at sea in wartime. The medal was instituted by Swedish king Gustav III on 28 May, 1789, during his war against Russia. Whilst technically it is still active, it is for practical purposes inactive, not having been awarded since 1915. The next oldest was the Austro-Hungarian Tapferkeits Medaille Honour Medal for Bravery 1789–1792. This medal was instituted on 19 July, 1789, by the Emperor Joseph II. Another of the oldest military decorations still in use is Poland's War Order of Virtuti Militari (Latin for "For Military Valour"). It was first awarded in 1792. För tapperhet i fält and För tapperhet till sjöss are two Swedish military medals awarded to officers and soldiers of the Swedish Armed Forces who have—as the medal names suggest—shown valour in the field or at sea in wartime. These two medals, along with the various grades of the Order of the Sword, are the only awards in Sweden that have the designation "Swedish war decorations". The medal was instituted by Gustav III on 28 May 1789, during his war against Russia and was meant to complement the Order of the Sword—which was instituted on 23 February 1748 and was awarded for the same purpose—valour in the field or at sea—but only to officers. The Medal for Bravery was a military decoration of Austria-Hungary established in 1789 and awarded for bravery in battle until the dissolution of the Austro-Hungarian Empire in 1918. Medals have been forged by many people to make the medal appear more valuable or to make one look like a more decorated soldier. Medal forgeries can include: adding bars, engraving a famous soldier's name on it or creating a whole new medal. Medal forgery is illegal in most countries and can be punishable by imprisonment. Alas many medals are faked, a medal gains value in direct relation to the owner of the medal; as 90% or so of all British Military Medals are named this allows the collector to research the man and place him on a battlefield in the heat of the action, for example a Zulu War medal to a man who took part in the Campaign in 1879 would cost some £700 however the same campaign medal to a man who you can place at the defence of the mission station at Rourke’s Drift, made famous by the film Zulu, would command a price of £50,000 to £60,000. A knowledge therefore of the exact styles of naming is a crucial key to purchasing a real medal, however a quick tip is just to look at the medal on a flat surface, is the medal completely round or does it and have an egg-shaped appearance and thinning of the rim towards the 6 o’clock point, if so this usually means that the original naming has been removed and a new name impressed or engraved around the rim taking the name of a man who was at a famous action solely to deceive and make the medal worth more money, always make sure the medal is completely round, the forger will be happy to take your money for a medal he has re-named! If in doubt take your medal to one of the well know reputable dealers or auction houses who specialise in Military Medals, such as Mark Smith - a Military Medals specialist and a familiar face on BBC's Antiques Roadshow - they will happily and quickly tell you if your medal is real or has come from the forgers workshop. Awards for entire units, in the form of Battle honours, Campaign streamers, Fourragères, or unit citations. An order of merit is an honorific order that is conferred by a state, government, royal family, or other sovereign entity to an individual in recognition of military or civil merit. The historical background of the modern honours system of orders of merit may be traced to the emergence of orders of chivalry in the Middle Ages. A campaign medal is a military decoration which is awarded to a member of the military who serves in a designated military operation or performs duty in a geographical theater. Campaign medals are very similar to service medals but carry a higher status as the award usually involves deployment to a foreign region or service in a combat zone. A service medal is an award to individuals who participated in designated wars, campaigns, or expeditions, or who have fulfilled specific service requirements in a creditable manner. Service medals are sometimes also Campaign medals. In most NATO militaries, only the service ribbons are normally worn on everyday occasions (as opposed to the actual medals). The Order of the Sword is a Swedish order of chivalry and military decoration created by King Frederick I of Sweden on February 23, 1748, together with the Order of the Seraphim and the Order of the Polar Star. The Nkwe ya Boronse - Bronze Leopard, post-nominal letters NB, is a military decoration for bravery which was instituted in 2003. It is South Africa's third highest military decoration for bravery. The orders, decorations, and medals of Canada comprise a complex system by which Canadians are honoured by the country's sovereign for actions or deeds that benefit their community or the country at large. Modelled on its British predecessor, the structure originated in the 1930s, but began to come to full fruition at the time of Canada's centennial in 1967, with the establishment of the Order of Canada, and has since grown in both size and scope to include dynastic and national orders, state, civil, and military decorations; and various campaign medals. The monarch in right of each Canadian province also issues distinct orders and medals to honour residents for work performed in just their province. The provincial honours, as with some of their national counterparts, grant the use of post-nominal letters and or supporters and other devices to be used on personal coats of arms. The South Africa Medal (1853) is a campaign medal instituted in 1854, for award to officers and men of the Royal Navy, British Army and locally recruited Cape Mounted Riflemen, who served in the Cape of Good Hope during the Xhosa Wars between 1834 and 1853. The Governor General of Australia has, at irregular intervals, notified for general information the positioning of the wearing of Australian Orders, Decorations and Medals in the Commonwealth of Australia Gazette. The Order of Wearing Australian Honours and Awards was last published in 2007, and replaced the previous list published in 2002. The Natal Native Rebellion Medal was a British campaign medal. It was authorised in 1907 for service in Natal during a Zulu revolt against British rule and taxation in 1906. The 1906 Clasp to the medal was awarded to those who had served for more than fifty days. The John Chard Decoration, post-nominal letters JCD, was a military long service decoration which was instituted by the Union of South Africa on 6 April 1952. It was awarded to members of the Citizen Force of the South African Defence Force for twenty years of efficient service and good conduct. Clasps could be awarded after thirty and forty years service respectively. The Cross of Valour is a decoration that is, within the Canadian system of honours, the second highest award, the highest honour available for Canadian civilians, and the highest of the three Canadian Bravery Decorations. Created in 1972, the medallion is presented to individuals, both Canadians and foreigners, living and deceased, who have performed acts of the most conspicuous courage in circumstances of extreme peril and grants recipients the ability to use the post-nominal letters CV. The Honorary Medal for Charitable Assistance was created at 18 June 1822 and is after the Military William Order the oldest decoration for bravery in the Kingdom of the Netherlands. Furthermore, the Honorary Medal is the highest civilian decoration still being awarded for bravery, and is specifically for those who carried out a voluntary act of bravery or self-sacrifice, with an emphasis on charity. The Honorable Mention was an important Military awards and decorations of the Kingdom of the Netherlands for those who distinguished themselves by acts of high bravery, but weren't eligible yet for the highest accolade of the Military William Order. The Honorable Mention was in fact not a medal but a mention in the proclamation of the Dutch army, to honor the soldier. The John Chard Medal is a military long service medal which was instituted by the Union of South Africa on 6 April 1952. Until 1986, it was awarded to members of the Citizen Force of the South African Defence Force for twelve years of efficient service and good conduct. The period of qualifying service was reduced to ten years in 1986. The Orders, decorations, and medals of Sweden have a historical basis, reaching back to the 1606 founding of the extinct Jehova Order. The Royal Order of Knights of Sweden were only truly codified in the 18th century, with their formal foundation in 1748 by Frederick I of Sweden. Significant reforms in 1974 changed the conditions and criteria under which many orders and decorations could be awarded. 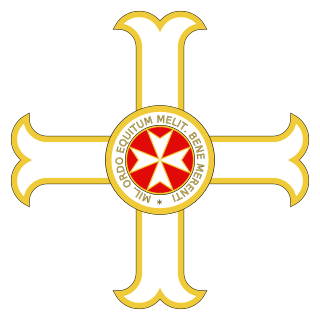 The Valour Cross is the highest military decoration of Denmark. Established on 14 November 2011, and first awarded on 18 November 2011, it is awarded for outstanding acts of courage in combat. Vasa Medal was established by King Oscar II of Sweden in 1895 as a reward medal for general civil virtues. It was given in gold and silver of the 8th and 5th sizes. It carries the cross of the Order of Vasa and the reverse a globe coated with the Three Crowns of the coat of arms of Sweden. It is worn in green ribbon. It ceased to be awarded in 1974. ↑ David, Rosalie (1998). The Ancient Egyptians: Beliefs and Practices. Sussex Academic Press. p. 101. ISBN 1898723729.